Excite and delight with lights! 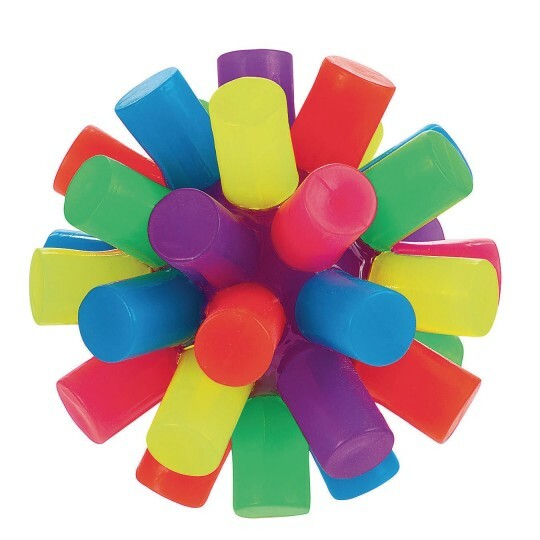 Excite and delight with this 3” light up Asterix Ball with it's flat tube-like spikes. 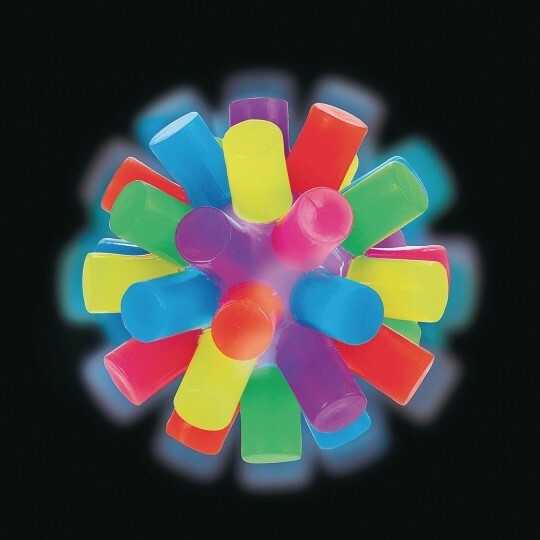 Bright neon colors and the flashing lights make this ball perfect for boys and girls alike! Non-replaceable batteries included.